May the Son shine on you richly throughout this day . 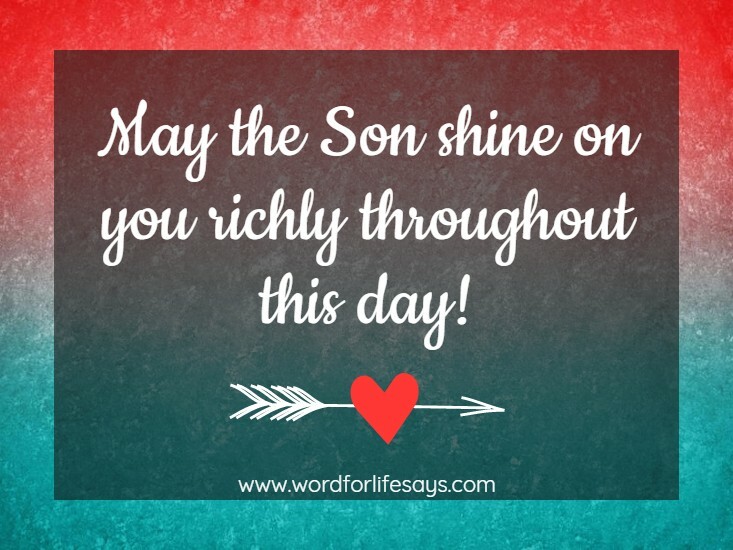 . .
May the Son shine on you richly throughout this day! May the light of Jesus Christ be your guide, comfort, and protection.